Project 90 by 2030 supports the Earthlife Africa and Coalition Against Nuclear Energy events commemorating 25 Years since Chernobyl. 18th April – (12:00pm to 14:00pm – Piersquare, Heerengracht Street, with handover at 1:00pm). – A demonstration of concern about the events at Fukushima, a commemoration of the legacy of Chernobyl, a protest against the IRP2 (South Africa’s 20 year electricity plan which includes at least 3 new nuclear power stations) and the submission of statement of solidarity to the Japanese Consul-general in sympathy with their plight. 21st April – (6:15pm at the Labia) Screening of the documentary “The Nuclear Comeback” with a facilitated discussion afterwards. This entry was posted in Campaigns, Energy, nuclear power and tagged activism, Cape Town, nuclear, Project 90. Bookmark the permalink. You mention that renewable energies could be up and running in just a few years. I think a point that a lot of people miss, is how long nuclear takes to come online. If we started investing in nuclear tomorrow, it would take 15 or more years before we get even 1 watt of power from nuclear. Imagine where renewables technology will be by that time!? 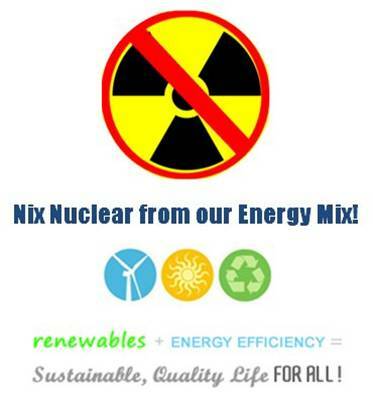 The bottom line is that nuclear is a dangerous and expensive distraction from safe, sustainable energy! You are absolutely right Mike, that is a great point.